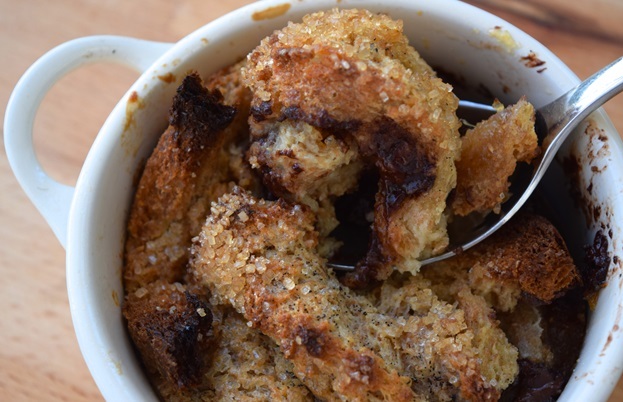 The sweet, gooey, custardy bottom and crisp, crunchy top of a good bread and butter pudding is perfect for winter nights. Discover how this classic pudding is given a special twist by food writer Rachel Phipps. I’m not really a fan of most cold weather desserts. I think like most people who’ve been to school in Britain, I still have not completely managed to banish the memories of flavourless sponges, gloomy rice puddings and bright pink, skin heavy custards from my mind. However, there is one dish (probably because it was never ruined by appearing on any of my school menus) that just screams cosy winter evenings to me, preferably after a roast chicken: bread and butter pudding. My idea of a homemade dessert has always been a jelly, or a homemade French style chocolate mousse. Crumbles when we have our own homegrown apples, rhubarb and blackberries from the hedgerows, and the odd trifle at Christmas time. 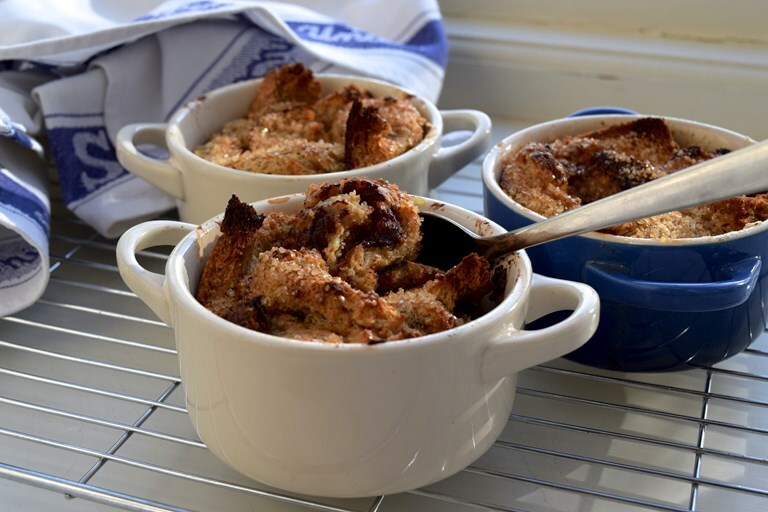 The sweet, gooey, custardy bottom and crisp and crunchy top of a good bread pudding is something relatively new to me, and the first time I made one (using leftover croissants no less) I could not believe how easy the whole process was. In this version the dark chocolate adds a little indulgence and the marmalade a bit of tang. Using brown bread rather than white, or a brioche helps balance out the pudding and stopping it from becoming too sweet. For some reason, I think it also makes it a lot more comforting for this time of year. Since I started making bread and butter puddings at home my mother has been telling me stories of the place they had in her childhood. 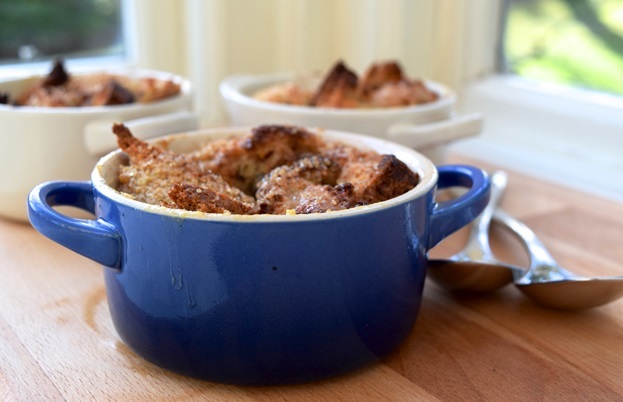 For her, regardless of whose house you were at on a Sunday night a bread pudding would be set down on the table, using up all of the leftover bits of bread, egg and milk from the week, ready for a fresh start for the week ahead. Approach your bread pudding in this spirit; it will be in fact a bit better if your bread is a little stale, and you can use anything from brioche to leftover pain au chocolat. You don’t have to stick to chocolate and orange for your flavourings either; that croissant bread pudding I was telling you about? Instead of infusing the milk for the custard with vanilla, I use a couple of cardamom pods instead.